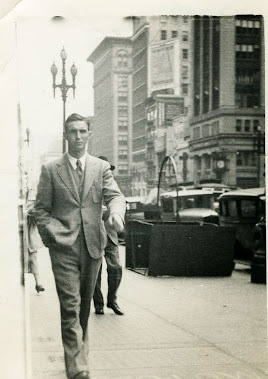 I thought that I'd join in with some of the genealogy bloggers out there for "Someone's Ancestor Sunday" theme. There are actually many people out there blogging about their family tree research. I haven't found any of my relatives blogging though. I guess I am solo in the bogging venture at this point when it comes to my own family lines. Today, I thought that I'd post a grave headstone that I came across at Tulocay Cemetery right near the unmarked graves of my Flanagan's. I know that it might be far fetched to think that these people knew each other in life but one can never tell. Napa, California was a small town 100 years ago or even 50 years ago. It still kind of is. Below is the headstone of the Brown's. 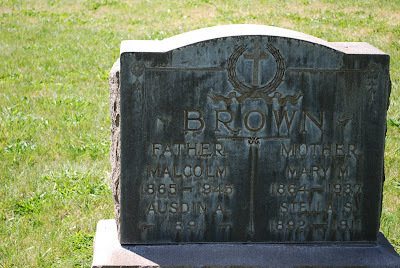 Who were Malcom and Mary Brown? I'm not really sure. They are somebody's ancestors and it is Sunday.